Sprint Cycling Jersey - Stays cool and dry during vigorous activity, the fabric is AeroDRI - Breathable, with Full Separating Front Zipper. 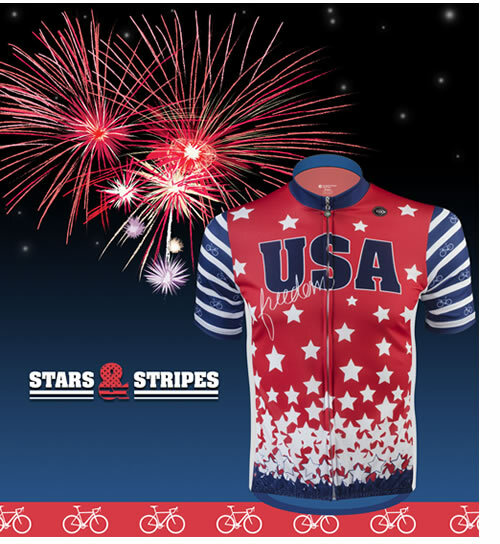 Patriotic USA Stars and Stripes Cycling Jersey has a full zipper front and sublimated print with brilliant colorways of red white and blue on a white background. Fits well. Full zipper and pockets in back is nice. I was in a pinch to find something EXTRA SPECIAL for my husband's 65th Birthday! I had never heard of your company SO...through a google search I found AEROTECH! I was looking for something Patriotic since he is retired from the military! Your selection is wonderful! Your Product is of the highest quality, the pricing is GREAT!, AND CUSTOMER SERVICE IS EXCELLENT! great price - great jersey. I received lots of compliments on it. Love the colors . My error in that i ordered a size large instead of medium( based my decision on previous review that jersey ran big) but very colorful , positive comments on the road! I get a lot of people showing their appreciation for me wearing our nation's colors. I've even received a couple of salutes. The colors are very vibrant. 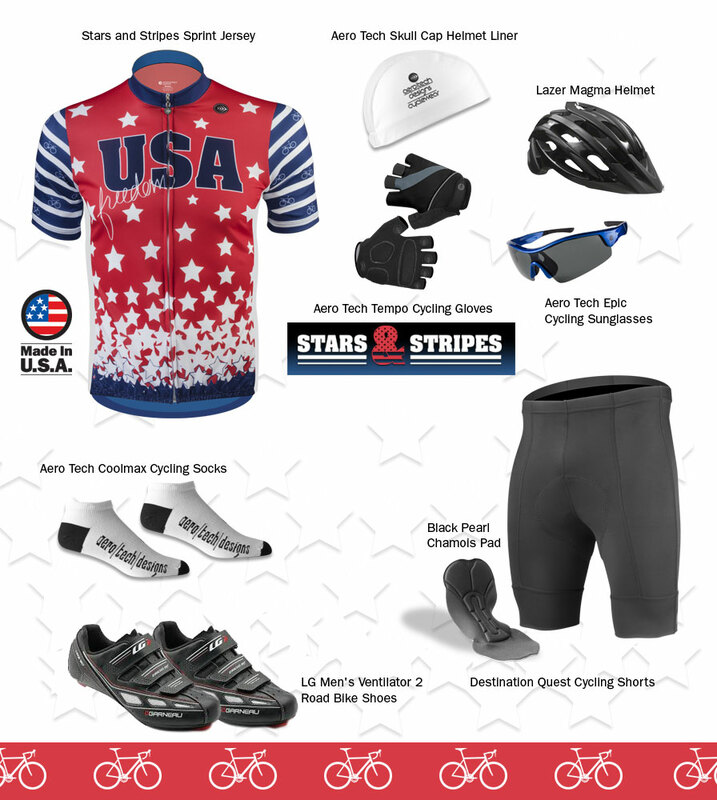 As mentioned on other reviews I am much larger than your average cyclist and I truly appreciate items that are sized larger and fit as expected. This item does. My only complaint is that I have to occasionally pull it down in the back. Maybe that is my body shape though. Considering sowing some Velcro into my cycling shorts and this shirt. 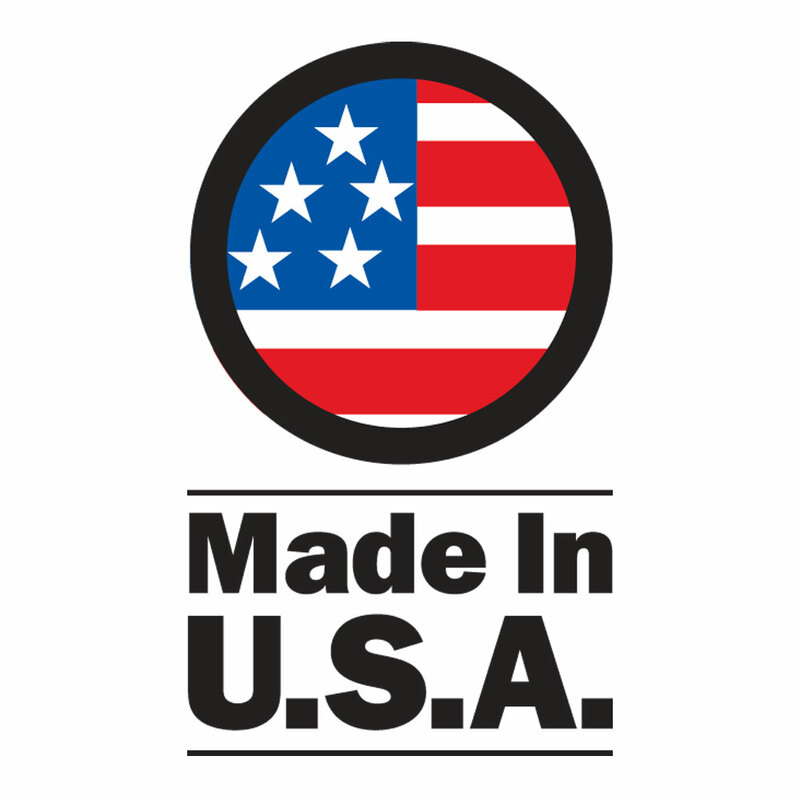 This is a quality USA made product that deserves high praise!!! I purchased this item for my husband who is 6' tall and weighs about 240lbs (stocky build) and is a retired Air Force Officer. I used the sizing guide and the fit is perfect for him. He gets compliments every time he wears the jersey. Great jersey. I see it is on sale now though--I could have saved $10!! Great customer service too when I had to get a smaller size. Material, fit and assembly are great! I appreciate the full front zipper. Looks good, too. Jersey fits very nice. Not to tight. Good quality.